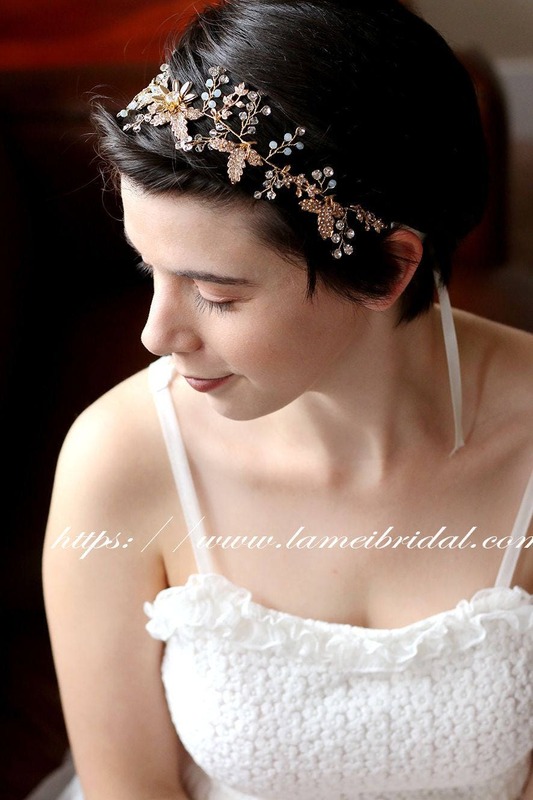 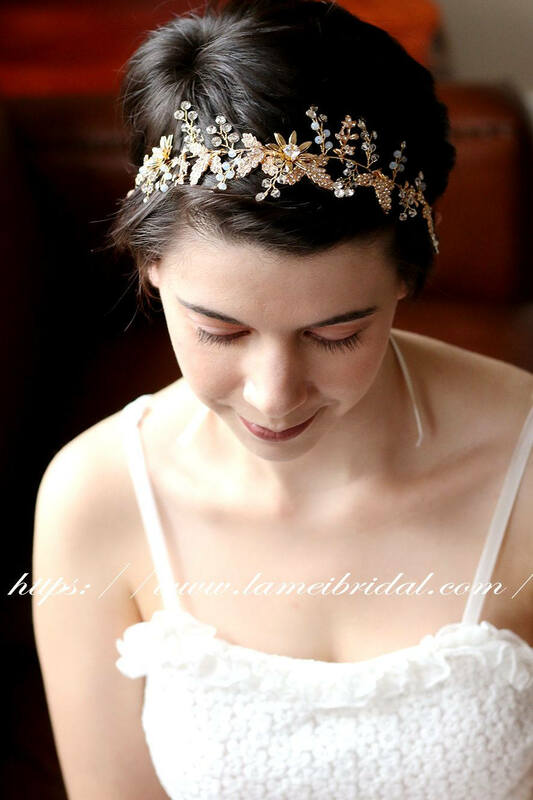 Diversity in ways it could be combined jazzes up this wedding leaf crown allure. 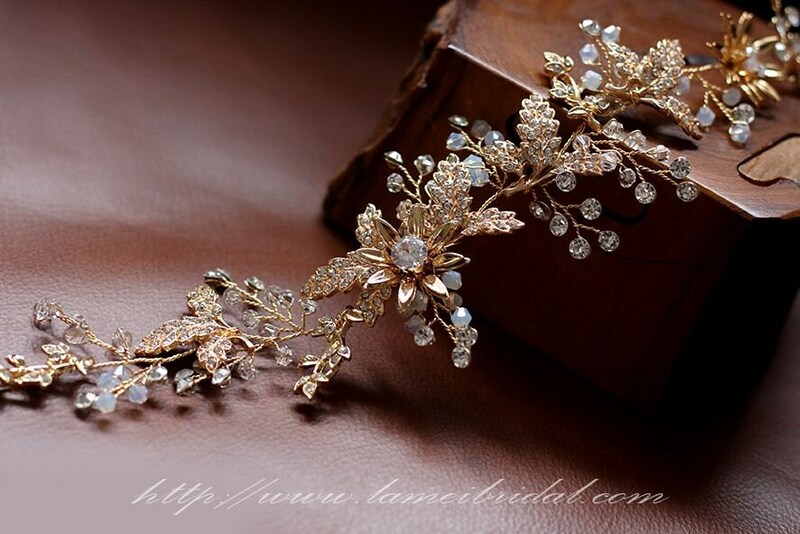 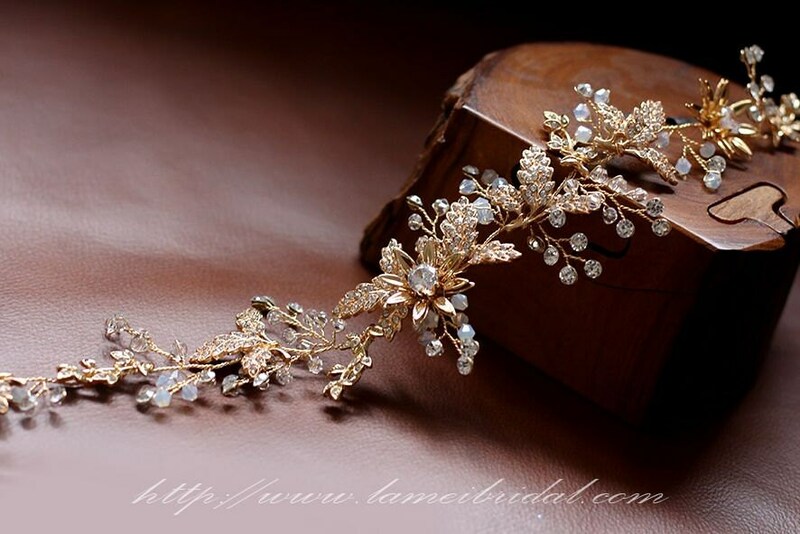 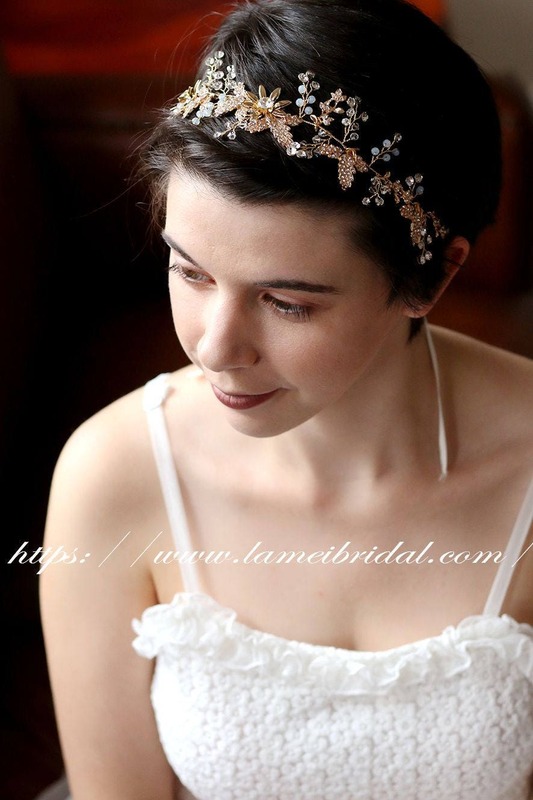 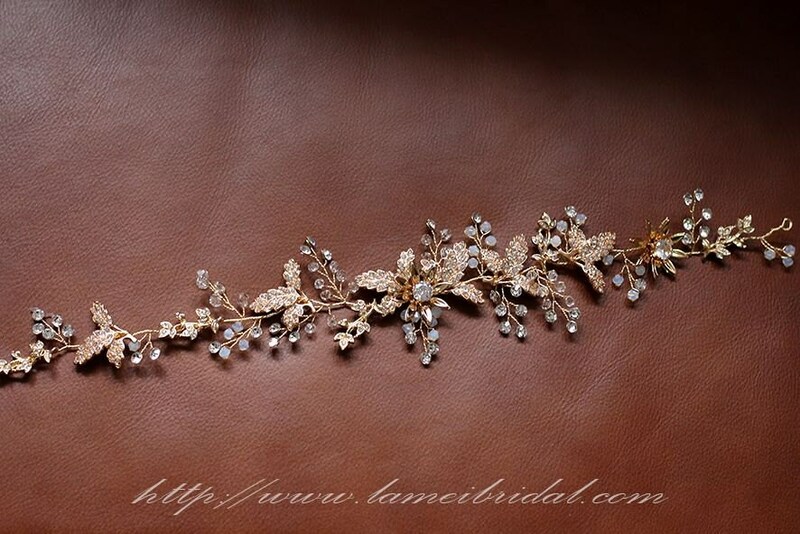 Our gold wedding rhinestone headpiece befits anyhow: under veils hinting at smoldering beautiful surprise, propped over them as mesmerizing buttress of leafy lace, without any veil, resembling exclusive sterling decoration. 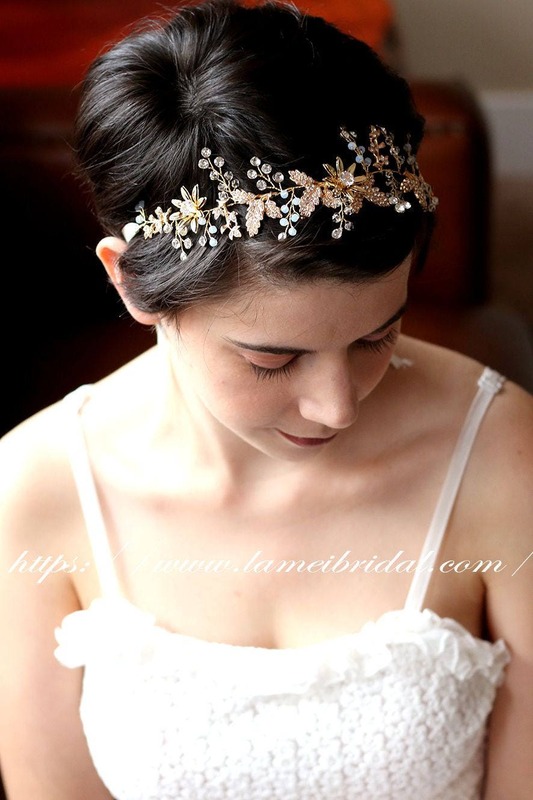 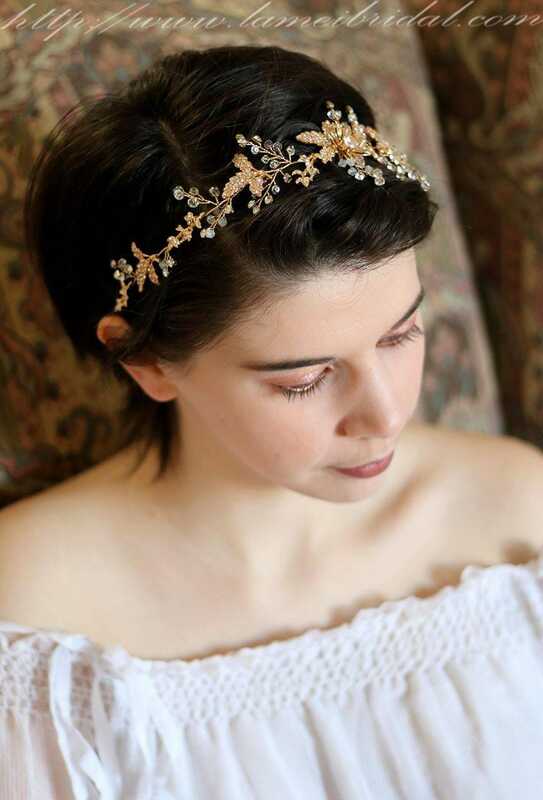 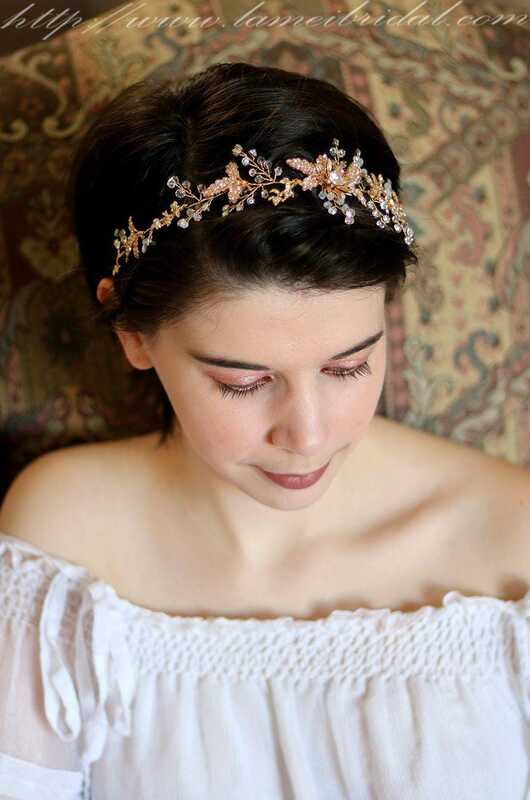 Inspired by nature’s affluence, this fairy bridal tiara features certain severity due to naturalness of cherry blossoms, soldered throughout delectable foliage.